Wainscoting is gaining popularity and there are many different stiles to chose from. We take pride and care in our work to ensure that the finished results will impress the home owner and potential buyers. Wainscoting and trim can bring incredible value to your home when done right. Give us a call today. 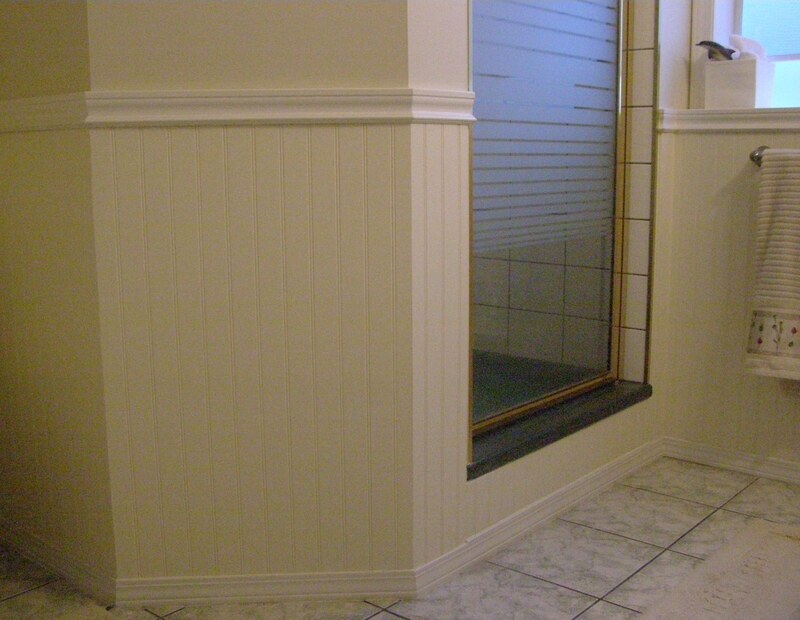 We installed this beaded panel Wainscoting with trim in a bathroom.